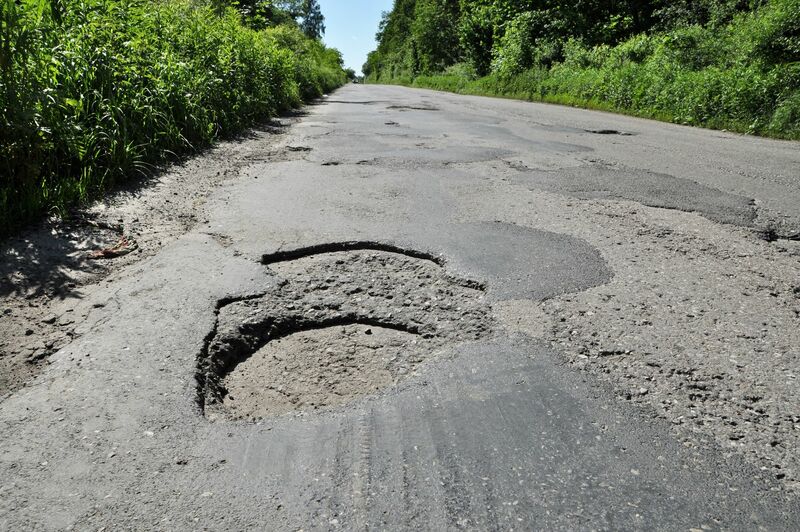 When you notice a pothole or cracking in asphalt pavement, it’s a clear sign of damage. Before you set out to fix the issue, it is important to determine the root of the problem. Understanding the true cause enables you to implement the appropriate maintenance and get the best return on investment. Here are five common culprits behind pavement damage. Due to constant exposure and temperature fluctuations, it is normal for asphalt paving to crack over the years. Fortunately, many cracks can be caught and remedied with an annual checkup. An excellent maintenance routine includes crack sealing as well as pavement seal coating to deter water damage. We also recommend inspecting cracks once in the fall and again in the spring to monitor their condition. An ill-functioning subgrade is frequently known to result in pavement damage. This occurs when the soils underneath the base layer of asphalt are clay-based rather than stone. When you notice ruts forming in your parking lot or street after a round of rain, it may be a sign the subgrade is unable to support weight. Unfortunately, even a routine paving job can go awry due to variables outside of a contractor’s control. Factors such as traffic delays and unusually long lines at the asphalt plant may make it impossible to pour hot seams at each pass. Another cause of asphalt damage is pavement thickness. Surface asphalt must be at least two inches thick in order to stand up to moisture and heavy traffic. If it is too thin or improperly installed, pavement is left prone to extensive cracking. A load-bearing base is essential in promoting and extending the life of asphalt. If the base layer is too shallow, does not support weight, or was botched at the time of installation, it can make the pavement above prone to potholes. A solid base is comprised of six inches of stone and two inches of binder asphalt. Whether you need to fix asphalt damage or install a new surface, All County Construction offers professional paving for residential and commercial purposes in Rochester, NY. For more information, contact us online or by phone at (315) 589-8661.